Dr. Deepak of Varanasi for Animals performing surgery. Animals who are suffering in India have strong indigenous allies. The nation is blessed with many dedicated animal welfare organizations. 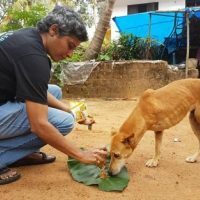 Help Animals India seeks out the best of India's under-funded animal rights organizations to provide financial & practical assistance where it can make the most difference. 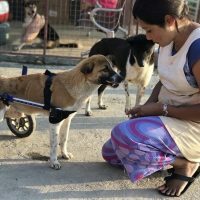 Help Animals India strives not only to achieve immediate assistance for India’s animals, but to nurture an enduring culture of protecting animals in India. This builds capacity through education, consultation, networking, and financial support, which enables these groups to fulfill their aims, grow, and most importantly, help more animals.